Standing for professionalism, confidence and integrity, the Painting and Decorating Association symbol is the sign of quality in the industry. 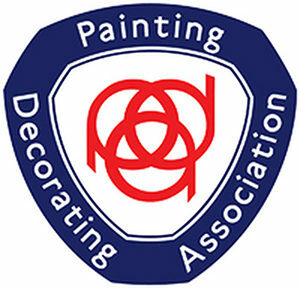 The PDA represents thousands of painters and decorators across the UK, but the Association has one clear purpose – to ensure all members adhere to the highest standards. From large national contractor organisations through to small businesses – the PDA choose its decorators with care. Choosing the right tradesmen to come into your home or business is a decision that should never be taken lightly. Appointing new contractors is often a leap of faith – and perhaps a significant investment – so it’s important to have confidence in their ability. The painting and decorating industry is awash with people who are not true specialists in the field, so how can you have peace of mind that the company you choose will deliver great results? The answer, quite simply, is to appoint a member of the Painting and Decorating Association. The HRNL Contractors carrying the PDA logo can be trusted to produce quality work, abide by a Code of Practice recognised throughout the industry and hold the correct insurances. In short, membership of the PD is a demonstration of expert credentials – providing customers with the assurance and security of knowing they’re placing their most valuable assets in the hands of a professional. The PDA is Britain’s largest and longest establishment trade body dedicated solely to the Painting and Decorating trade. The association offers you, the customer, the security and confidence of knowing that you are placing your most valuable and treasured asset – you home – in the hands of an experienced professional. All members’ have to meet strict Membership Criteria upon application and abide by the PDA Code of Practice whilst in membership. This helps provide confidence and security when HRNL appoint one of the PDA members to undertake work in your home.